Date 02 Feb, 2019. Time 1400 Hrs. Today at about 1010 hrs, a country made boat carrying 09 persons dis-balanced at Sangam Nose during boarding. All 09 person fell down and began to drown into deep water. 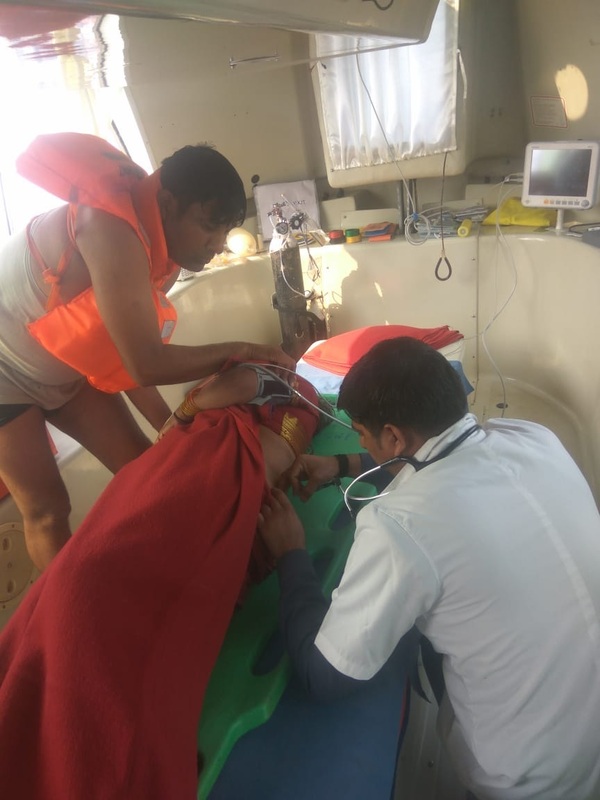 Alert NDRF responders deployed there for emergency response promptly responded with the Jal Police to save the life of the victims. In a joint rescue operation, NDRF team and Jal police rescued all 09 persons from drowning. 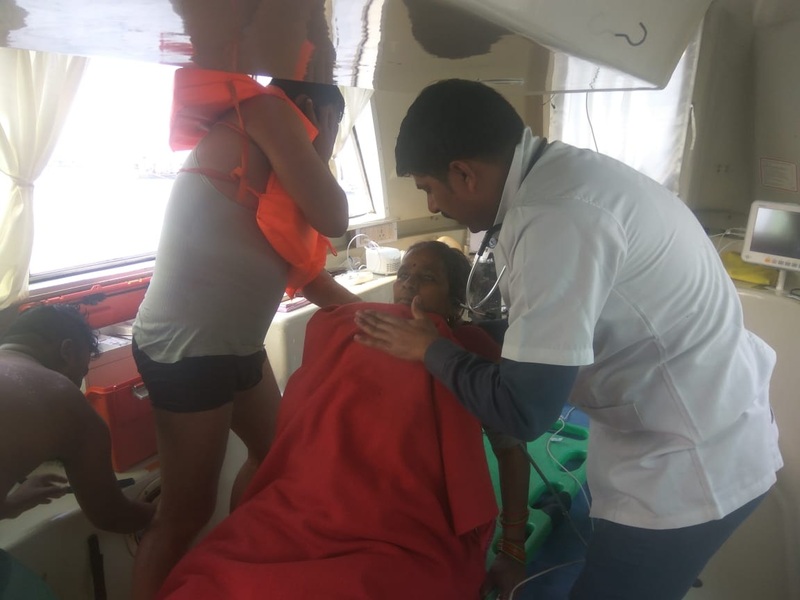 NDRF team also provided pre-hospital treatment to an elderly namely Vidavati who became unconscious after drowning. 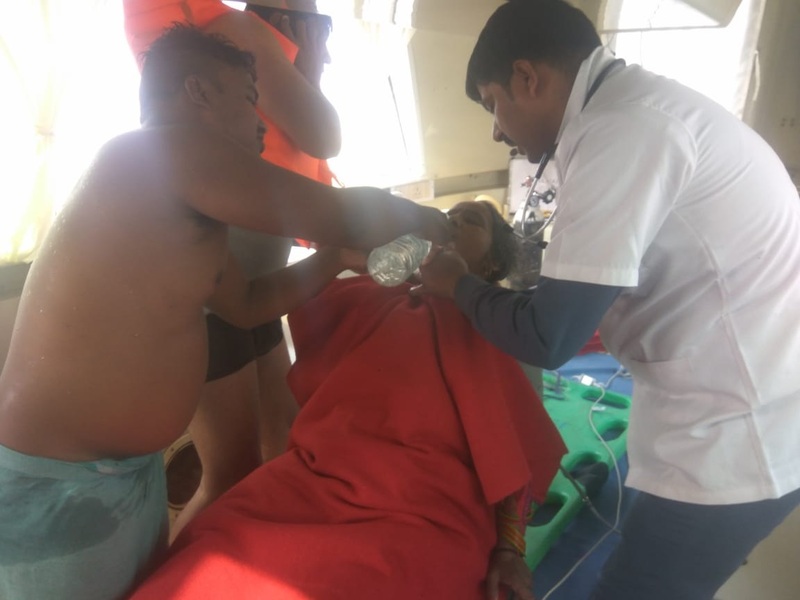 She was further transferred to central hospital Prayagraj for advance care. Her condition is stable. NDRF has deployed its rescue teams in the various ghats of Varanasi for emergency response.